$1.49 & FREE Shipping on orders over $59. 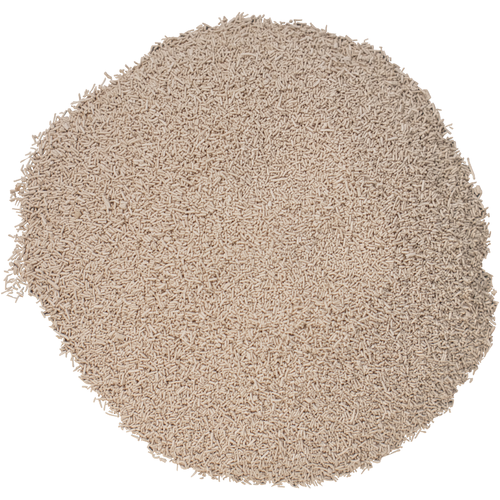 We use these 3 Yeast nutrients to ensure the best results in every batch of wine we make. 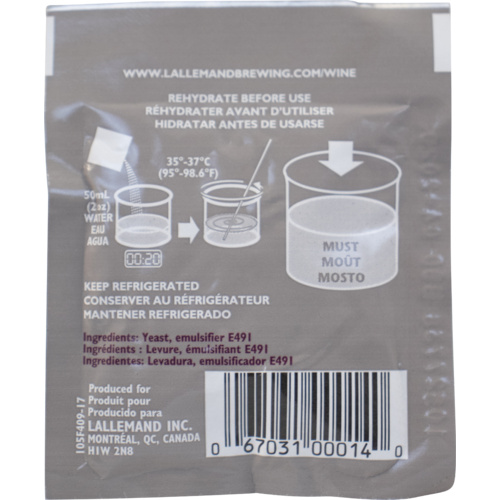 Use Go-Ferm when rehydrating your yeast. Add Fermaid-O at the 1st signs that fermentation has started. Finally, add Fermaid-K after 1/3 of sugars (8-10 Brix) have been depleted. Choose One, all three add body, structure and promote color stability: Opti-Red (Red wines) - 1 gram per gal. Adds a more rounded body and mouthfeel with color stability. Booster rouge (Red wines)- 1 gram per gal. Adds more structure while emphasizing fruit character with color stability. Noblesse - 1 gram per gal. Falls in between the soft roundness of opti-red and the structure intensity you get from booster rouge. Best one for absorbing off-sulfur compounds. Lallzyme EX - 0.1 gram per gal. Improves color intensity + stability, greater mouthfeel and enhanced fruity, floral, spicy flavors. Lallzyme EX-V - 0.75 gram per gal. Similar to EX but for premium red wines that are destined for long aging. Isolated from the Burgundy region of France. Recommended for red varieties where full extraction is desired. Color stability is maintained throughout fermentation and aging. Aromas of ripe berry and fruit are emphasized while respecting pepper and spicy notes, as well. Alcohol tolerance of 12-14%. Ferments well from 59 to 86 degrees. I have had good results with this yeast a few years ago. 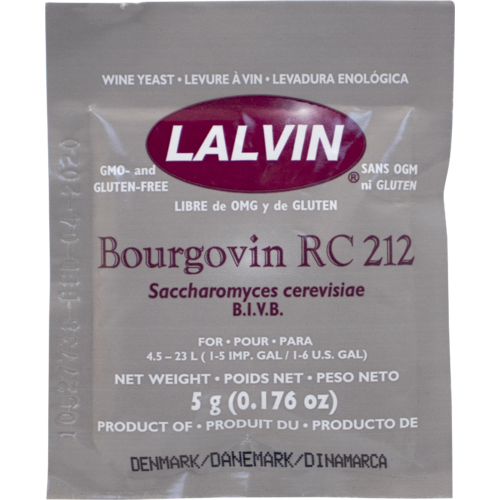 The only yeast I'll ever use in a Pinot Noir.